When I say this recipe is simple, I mean this recipe is SIMPLE. No need to measure and oh so delish! 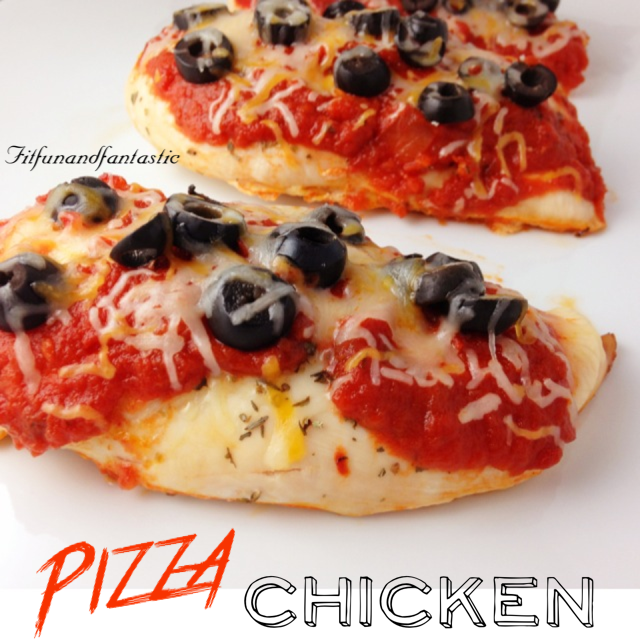 I love pizza, and making pizza chicken just seemed logical. Doesn’t it seem logical to you? Preheat the oven to 350 degrees Fahrenheit. Place the chicken on a baking sheet and sprinkle with italian seasoning, salt and pepper. Then place the marinara on top of each breast. Cook for approximately 35 minutes. 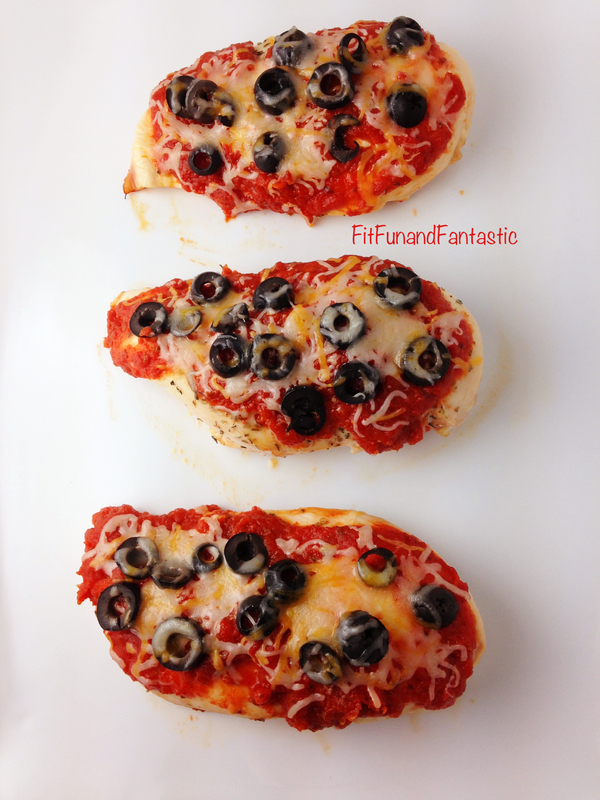 Once the chicken is cooked top with olives and a sprinkle of cheese. Place the chicken back in the oven until the cheese is melted.